Last week, FSD was given the privilege of interviewing the new Honorary Consul of Belgium in San Francisco, Nathalie Delrue-McGuire. A true advocate, Nathalie has made fashion and education among her top priorities in terms of the sectors she covers, and her insights prove nothing less. The School of Fashion was honored to host the newly appointed Belgian beauty as a guest at our May 2012 Graduation Show, and today she’s sharing reflections on her time with our fashion students, as well as a few of her favorite designers that she would love to see bring a little bit of Belgium to the Bay Area. Honorary Consul of Belgium, Nathalie Delrue-McGuire. Image courtesy of Drew Altizer. Tell us about your experience visiting the School of Fashion. In 2012, I was lucky to receive one of the most covetted invitations of the year to attend the Academy of Art University’s Graduation Fashion Show. It was one of the most impressive and memorable graduation fashion shows, and fashion show in general, which I had ever seen. Not only was it done in a highly professional manner, it was a delight for the senses: the atmosphere was sparkling with positive energy and creativity! It was so special to meet Guests of Honor Sarah Burton and Philip Treacy, but even more inspiring was feeling the passion, creativity, talent and enthusiasm of these presenting students. 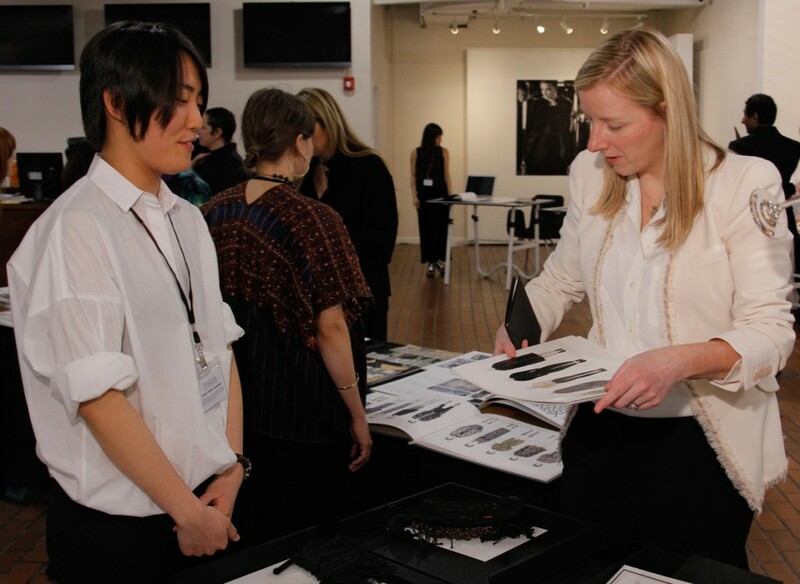 Sarah Burton reviewing Zhangchi Wang’s portfolio. Image courtesy of Randy Brooke / WireImage. When I was on the board of the French American Cultural Society, I also had the opportunity to take a tour of the School of Fashion, given by Gladys Perint Palmer herself! 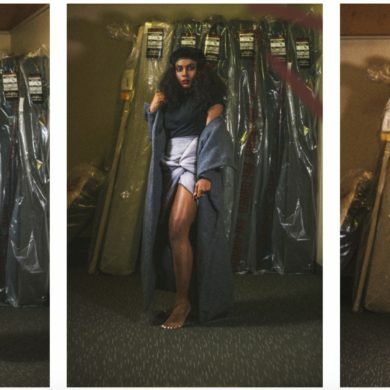 I got the impression that the students were really dedicated to hard work and perfectionism, but were still able to think outside of the box for their designs, volumes, textures and fabrics. These are very important values, not only in fashion design, but also in life and pursuing any career. Do you personally have any favorite designers? Perhaps a member of the “Antwerp Six”? As a Belgian, I have a strong admiration for the fashion achievements by the Antwerp Six (a.k.a. 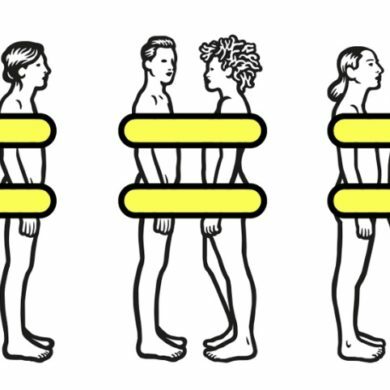 Ann Demeulemeester, Walter Van Beirendonck, Dirk Van Saene, Dries van Noten, Dirk Bikkembergs, Marina Yee). It was remarkable that Walter Van Beirendock and Dirk van Saene visited the School of Fashion in 2010. The Antwerp School has produced some innovative designers, and so has La Cambre in Brussels. Having such close contacts with successful international designers must be so inspiring to students, and I am hopeful that similar opportunities will happen in the future. I know a few people (including me), who would be in paradise if some Belgian designers came to San Francisco again! Walter Van Beirendonck’s Spring / Summer 2010 collection in Berkeley, California. Bérénice Marlohe wears a Carine Gilson satin-silk robe in SkyFall. Photo courtesy of United Artists, Danjaq LLC, Columbia Pictures. 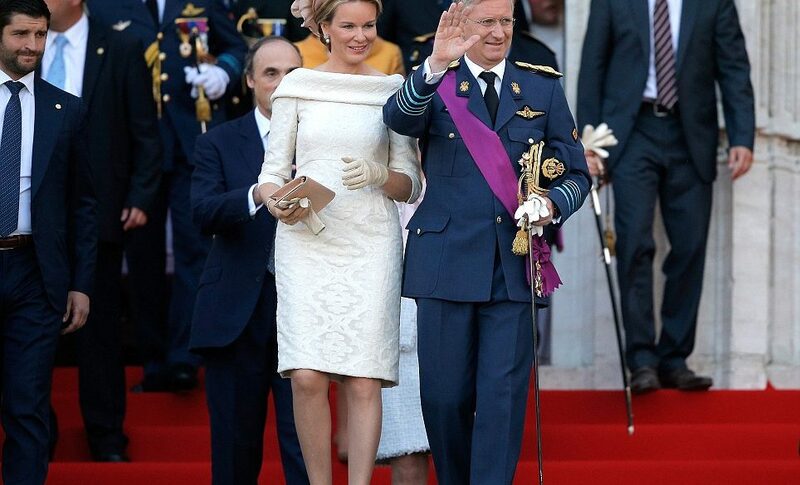 I also loved the dress the new Queen Mathilde of Belgium wore on July 21st on the occasion of Belgian National Day. On this date her husband, Philippe I, became the new King, succeeding his father, King Albert. Queen Mathilde has become a fashion icon in Belgium over the years (at the top of the Top 10 of 2008’s Vanity Fair international best-dressed list). Her dress was absolutely perfect for the circumstance. She exuded sophistication in this very distinguished and elegant look: a fitted cream dress with a very distinctive neckline that folded back from her shoulder, by Edouard Vermeulen of Natan with a stunning hat by Fabienne Delvigne. 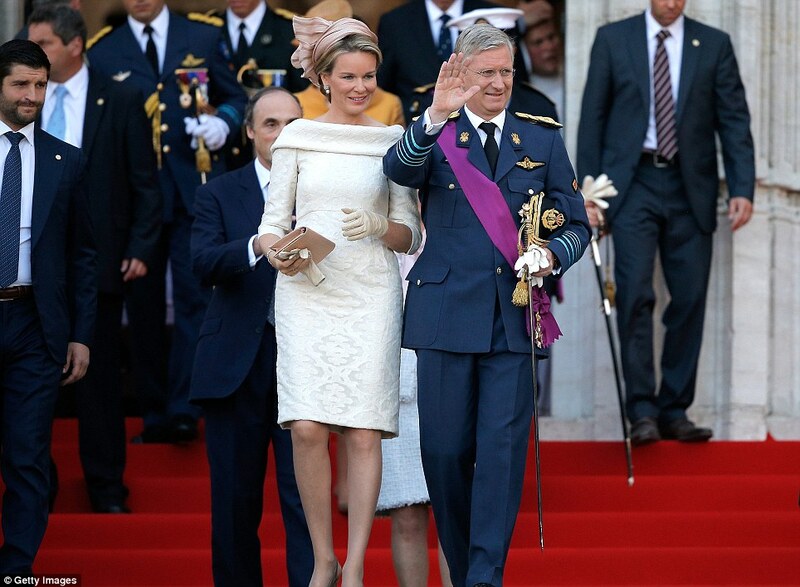 Queen Mathilde with King Philippe on the day he assumed the Belgian throne, July 21st of this year. Photo courtesy of Getty Images. 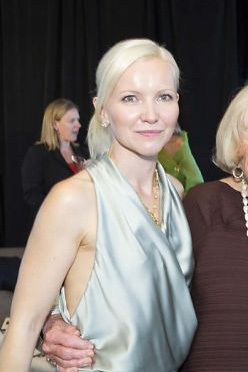 The School of Fashion offers our sincerest of congratulations to Nathalie on her new role! For more “Industry Interviews” click here.